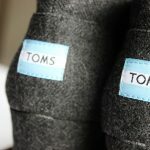 It’s no secret around xameliax.com that i’m a huge fan of the TOMS brand. Last year i was sent my first pair of TOMS shoes and i instantly fell in love. So when i was invited to their Give Shop press event in London as a Social Brand Ambassador i was incredibly excited and i really got to know this wonderful company on a more personal level. Whilst there we got to take a look at their new shoe and eyewear collections which were amazing! 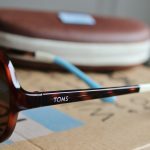 If you didn’t know, TOMS also now make sunglasses which also carry with them their One for One ethos, so when you buy a pair of these shades, TOMS will give someone back their sight through sight saving surgery, medical treatment or a good old pair of specs – truly remarkable. When at the event we got to pick out a pair of shoes and shades from the collections to wear and help spread the TOMS message! 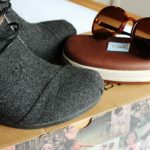 The other day my TOMS package arrived and i have never been so excited, just look at them, they’re so beautiful! I’ll be putting these into an outfit post for you all soon but for now i thought i’d show you some up close pictures. 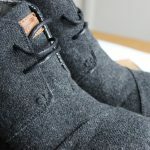 I wore my Desert Boots* (£70) at the weekend and those of you who follow me on Instagram or Twitter will have seen me harping on about just how comfortable these babies are. Honestly, it’s like walking on pillows, i’m in love. 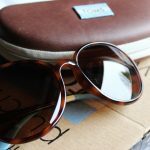 And as the sun was finally shining i got to road test my Deoria Sunglasses* (£110) too, which are painfully cool and work a treat – these are some serious sunglasses and i will treasure them forever! 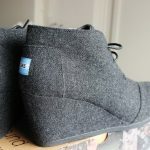 If you haven’t heard of TOMS before and you want to know more, you can read the TOMS story on their website HERE. Or if you like to take a look at their new collection of Shoes or Sunglasses you can do that there too! What do you think of the new TOMS collections? Did you know they did sunglasses too?